1. Laboratory network for laboratory based surveillance of viral hepatitis in different geographical locations of India, in a phased manner. 2. Setting up of one Reference Laboratory at National Centre for Disease Control (NCDC), Delhi. 3. Training and capacity building of professionals in relevant sectors, like Microbiologists, Laboratory Technicians, data Managers and Field Workers. 4. Laboratory support for outbreak investigation of hepatitis through established network of laboratories. 5. Development of guidelines and creating awareness for prevention and control and treatment of blood borne and water borne hepatitis. 6. Information Education and communications (IEC) for dissemination of information about prevention and control of viral hepatitis. Central Drugs Standard Control Organization (CDSCO) has granted import and marketing permission on 13th January, 2015 for Sofosubuvir 400 mg tablet (brand name Sovaldi) manufactured by M/s Gilead Science Ltd., to M/s Mylan Pharma Pvt. Ltd. for treatment of chronic Hepatitis C in adults. Subsequently, CDSCO has also granted permission to manufacture and market Sofosubuvir 400 mg tablet in March, 2015 to Indian manufacturers namely, M/s Hetero Labs. and Natco Pharma. CDSCO has no information about cost of the drug. The Minister for Health & Family Welfare, Shri J P Nadda stated this in a written reply in the Rajya Sabha here today. ¡ Revised Migrant Strategy with focus at Destination, Transit & Source and Employer-led Model to address vulnerabilities of migrant labour. ¡ Scale up of Opioid Substitution Therapy at Public Health settings to control HIV among IDU & sensitization of law enforcement agencies. ¡ For elimination of HIV infections among children, lifelong ARV to HIV positive pregnant women for prevention of Parent to Child Transmission of HIV has been rolled out. ¡ In certain pockets of high prevalence states where HIV prevalence among FSW and MSM continues to be high, emphasis is given to sustain the higher coverage of targeted interventions and improve the quality of outreach. ¡ Scale-up of free 1st line and 2nd line Anti retroviral Treatment for People living with HIV and strengthening supply chain management of drugs. ¡ National Helpline was launched to facilitate easy dissemination of information related to HIV/AIDS to general public, People Living with HIV/AIDS (PLHIV), High Risk Groups (HRG) and vulnerable population in 8 Indian languages. ¡ Considering the fact that combination of multi-drug in a single pill is very effective, well tolerated, so once a-daily fixed dose regimen (FDC) has been rolled out in a single pill ARV drug among the 1st line treatment patients. ¡ Mainstreaming and partnerships is recognized as a key approach in National AIDS Control Programme to facilitate multi-sectoral response engaging a wide range of stakeholders and optimally utilize the resource available from other Ministries and Department. In this regard the NACO has identified 31 key Departments/ Ministries of Government of India for mainstreaming. 12 such Memoranda of Understanding (MoU) has already been signed. The Minister of State, Ministry of Health and Family Welfare, Shri Shripad Yesso Naik stated this in a written reply in the Rajya Sabha here today. The CGHS dispensaries have all the medicines required in emergency. As per the CGHS guidelines, a provision is there to keep medicines available to counter any medical emergency that might arise within the Wellness Centre. There is an Emergency Tray available with the nursing staff which contains most of the medicines required under emergency situation. 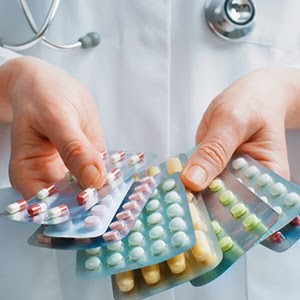 The availability of the medicines with their valid date of expiry in this Emergency Tray is checked on a regular basis and also during surprise checks. A complaint was received on 07.09.2013 from Sh. R. C. Khuntia, the then Member of Parliament in respect of pensioner beneficiary, Sh. B. K. Joshi regarding non-supply of life saving drugs on time by CGHS Bhubaneswar. The delay in supply was due to non availability of cancer medicine with the authorized stockiest. In case the medicines are not available at the Wellness Centre, they are procured through local purchase. If any medicine is prescribed by the treating doctor that is required to be used immediately and if that medicine is not available in the Wellness Centre, authority slip is issued to the patient to collect the medicine from the authorized local chemist free of cost. The Minister for Health and Family Welfare, Shri J P Nadda stated this in a written reply in the Rajya Sabha here today. (iii). Central Drugs Testing Laboratories, Chennai - For testing of Condoms. The current emphasis of the Department of Health and Family Welfare is on strengthening the existing laboratories. However, when required, the Department of Commerce also supports establishments of common testing laboratories for medical devices and diagnostic equipment under Central Assistance to States for Infrastructure Development of Export Scheme to support the growth of the industry. After extensive consultations with all stakeholders including the States, the Central Ministries/Departments, Industry and Consumer Associations and after placing the proposed charges in public domain and due consideration of all the suggestions/comments received, a draft Bill has been prepared and sent to the Ministry of Law and Justice for vetting. The Bill is proposed to be introduced in the next session of Parliament. The Minister for Health & Family Welfare, Shri J P Nadda stated this in a written reply in the Rajya Sabha here today. The Rashtriya Arogya Nidhi (RAN) has been set up vide Resolution No. F-7-2/96-Fin-II dated 13/1/1997 and registered under the Societies Registration Act, 1860, as a Society. The RAN was set up to provide financial assistance to patients, living below poverty line and who are suffering from major life threatening diseases, to receive medical treatment at any of the super speciality Hospitals/Institutes or other Government hospitals. The financial assistance to such patients is released in the form of ‘one-time grant’, which is released to the Medical Superintendent of the Hospital in which the treatment has been/is being received. (i) Revolving Funds have been set up in 12 Central Government Hospitals/Institutions located all over India for providing financial assistance for treatment upto Rs. 2 lakh. (ii) Financial assistance is provided from RAN Headquarters for cases referred by Government hospitals/institutions, which do not have a Revolving Fund and for cases referred by 12 Government hospitals/institutions with Revolving Funds for assistance exceeding Rs. 2 lakh. (iii) State Illness Assistance Fund set up in all States/UTs (with Legislature) except Meghalaya and Nagaland. Grants-in-aid to States/UTs is released to the extent of 50% of the contributions made by the State Governments/UTs to the State Fund/Society subject to a maximum of Rs. 5 crore to States with larger number and percentage of population below poverty line viz. Andhra Pradesh, Bihar, Madhya Pradesh, Karnataka, Maharashtra, Odisha, Rajasthan, Tamil Nadu, Uttar Pradesh and West Bengal and Rs. 2 crore to other States/UTs. Funds to the States/UTs are released on submission of utilization certificate and list of beneficiaries in respect of funds released to them earlier. (iv) Health Minister’s Cancer Patient Fund (HMCPF) within RAN which has been established as a separate Corpus Fund, and is also managed by the Managing Committee and Technical Committee of RAN. An amount of Rs. 100.00 crore has been placed in the Corpus Fund and the earning from the Corpus Fund accrued out of interest is utilized for providing financial assistance to cancer patients through 27 Regional Cancer Centres (RCC) located all over India. Revolving Funds have been set up in these RCCs by placing an amount upto Rs. 50 lakh for providing financial assistance for treatment upto Rs. 2 lakh. Cases involving expenditure over and above Rs. 2 lakh, are referred to the Ministry. Funds to the RCCs are released on submission of utilization certificate and list of beneficiaries in respect of funds released to them earlier. Balloon Valvuloplasty e.g. PTMC, BPV etc. 6. Catheters, central lines and venous access devices. Depending upon type of drug used as per patient need. 9. Liver Transplantation and Surgery for portal hypertension. 4. Developmental disorders including autisms spectrum disorders and Severe behavioural disorders during childhood. 13. Any life supporting drugs. Ultra-sound, Doppler studies, Radio-nucleotide scans, CT Scan, Mammography, Angiography for all organs, M.R.I, E.E.G, E.M.G, Uro-dynamic studies, Cardiac Imaging- Stress Thallium & PET, Cardiac MRI, Investigation for CMV, BK Virus, TMT, Echocardiography. Psycho diagnostics, neuropsychological assessments, IQ assessments, blood tests like serum lithium and drug level of carbamazepine, valporate, phenytoin and any other similar medications: CSF studies screening for substances or abuse/toxicology. 1. Immunoglobulin for AIDP (GB Syndrome) and Myasthenia Gravis. 12. Other major illness/treatment/intervention considered appropriate for financial assistance by Medical Superintendent/Committee ofDoctors could be considered for grant. The Food Safety and Standards Authority of India (FSSAI) had conducted a nationwide survey on milk adulteration in 2011 through its five regional offices. A total of 1791 samples were drawn from 33 states and were tested in the Government laboratories. 68.4% of the samples were found to be non-conforming to the prescribed standards. Out of these samples, in 46.8% samples, milk found to be sub-standard in respect of Fat and Solid Not Fat (SNF) contents. Another 44.69% of the samples (548) in respect of skim milk powder were found to be non-conforming to the prescribed standards where presence of glucose was detected in 477 samples. A total of 103 samples (5.75%) were found to be adulterated with detergents. The Food Safety and Standards Act, 2006 provides for graded penalties including life imprisonment. However, implementation and enforcement of the Food Safety and Standards Act, 2006 and Rules & Regulations made thereunder primarily rests with State/UT Governments. Random samples of food items are drawn by the State Food Safety Officers and are sent to the laboratories recognized by the Food Safety and Standards Authority of India (FSSAI) for analysis. In cases, where samples are found to be not conforming to the provisions of the Act and the Rules and Regulations made thereunder, penal action is initiated against the offender. The State/UT Governments have been requested by the Department of Health and Family Welfare on 07.01.2015 to finalize State wide Action Plan to draw and test samples of milk products at regular intervals. Strengthen evidence based clinical policy making in healthcare system through Medical Technology Assessment Board. Encourage research in a range of health areas of mutual interest, including human vaccine, infectious diseases and anti-microbial resistance. Cooperation in AIDS vaccine development. Cooperation in specific areas of health research, such as, oncology, bioinformatics, neurosciences, new generation vaccines and HIV/AIDS. Strengthen, promote and develop cooperation in the field of traditional systems of medicines. Strengthen, promote and develop cooperation in the field of Traditional Systems of Medicines and Homoeopathy. The international cooperation facilitates capacity building, training, exchange of information, exchange of experts, health manpower development, and technical support in establishing laboratories / hospitals and research in mutually identified areas, on the basis of equality, reciprocity and mutual benefit. It provides opportunities for sharing and emulating best practices and learning from each other, to address the health challenges faced by the country.